Acrylic nail tips services are offered to any woman who wants to look and feel good. If this is your first time, it is advisable to do your research and get the kind of nails that will perfect your new look. You do not have to worry about where to get these services because most nail technicians are already doing a commendable job out there. Furthermore, you can also consider being creative and experimenting different designs by the acrylic nail tips in the comfort of your home. Acrylic nail tips and acrylic overlay on natural nails without tips are purely stunning to look at. They make your nails to impressively appear longer giving that gorgeous look that you so desire. They come in standard long size. However, it may interest you to know you can trim and shape them as per your preference. What are acrylic nail tips and how to apply acrylic overlay on natural nails ? 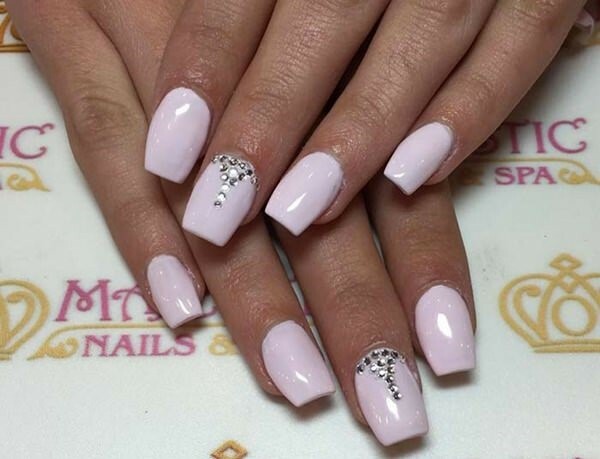 While elaborating the acrylic nail tips and how to apply acrylic overlay on natural nails we know that Acrylic nails are basically the artificial nail extensions that are applied on top of your natural nails. Gone are the days when people would only rely on their natural nails to add a shade of polish as the only option. Nowadays, things are getting bigger and juicier. The concept of nail extensions is becoming more popular in the beauty industry. Women like this form of nail art because apart from their beauty, they are sturdy, durable and they portray the desired length of nails. If you have trouble growing your own nails or yours break out easily but you still desire to have a look of long nails, then this is the solution you seek. The acrylic nails nicely mask the unpleasant looking nails giving your nails a fresh and desirable look. They also offer a perfect solution to brittle, broken and damaged nails. If you choose a nail technician to work on your nails, be sure to select a professional. The nail technician prepares your nails by cutting them to the desired size and pushes back the cuticles. Any previous nail polish is removed. Slight buffing is done to create the required rough surface. At this stage, the tips are cut and different solutions are applied to your nails. The nail tip and your natural nail are blended using an acrylic powder. Your nails are given time to dry up. Your nails are now filed, shaped and painted to your liking. Now we finally know how to apply acrylic overlay on natural nails. G'luck.!! !